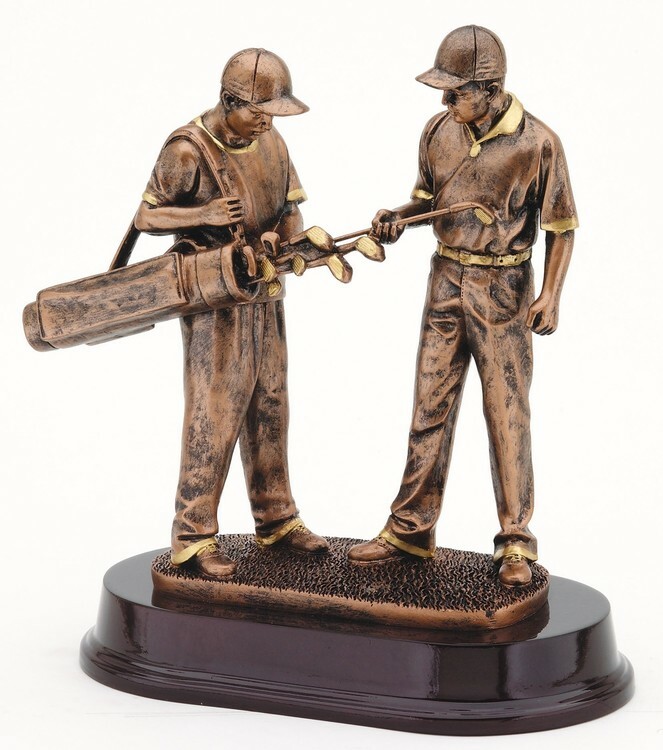 Golfer & Caddie - Bronze Series Golf Resin. Nice high end award. Mounted on rosewood finish base.